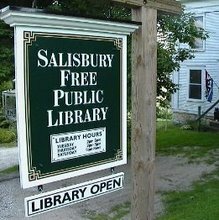 On Thursday December 1st, join us at the Salisbury Library for an informational session on the new Solar Addison County program. Solar Addison County is finally making it easy and affordable for homeowners and businesses all across Addison County to heat their water with the sun, by helping neighbors go solar, together. Through this program, heating your water with the sun costs the same as heating it with fuel oil or propane, and can even save you money from the start. For all of us who have ever wanted clean, renewable energy, that's made in Vermont, this is a great opportunity. While not required, please RSVP at http://bit.ly/w39n2Z so that we know how many folks to expect.